We focus on the vital balance between the head and the neck, an area that controls many body systems, and influences the stress across the whole spine. What is NUCCA Chiropractic Charlevoix? Specific Chiropractic Care, Specific To You. NUCCA is a highly accurate form of Chiropractic Care that is mathematically designed to accommodate each patients “SPECIFIC” needs. This type of care is tailored to each patient. There no “one size fits all” with NUCCA. NUCCA Chiropractors go to great lengths to get your exact measurement for your adjustment. 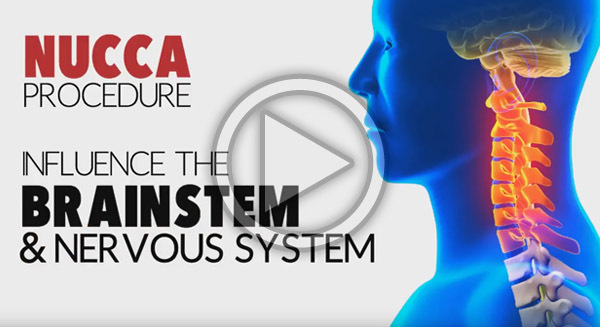 Watch this short video to visually see what NUCCA care can do for you. Come on in for a consultation. This how the Doctor gets a better understanding of the specific issues you are having. 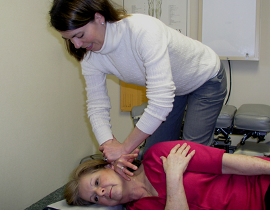 The NUCCA Chiropractic Charlevoix procedure is a highly effective and gentle form of chiropractic care. It is extremely precise and helps many conditions. Save some time. 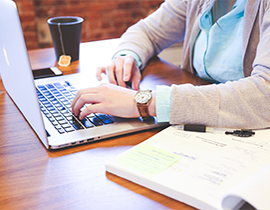 Download our online forms and fill them out before coming in. That way you can get your adjustment quicker. It is the chiropractor’s job to use the patient history, examination, palpation (testing of spinal motion with the hands), x-ray, and other diagnostic tests to determine which area of the spine requires help, and determine the exact way to help it through chiropractic adjustments.